When he’s not making appearances on various antiques TV shows or working at Reeman Dansie Auctioneers, expert Mark Stacey is a regular face at UK fairs trading as Santiago Ventura Real. Next month he’s due to exhibit at the annual Firle Place Antiques Fair from June 2-4, organised by Penman Fairs. We caught up with Mark to get the inside track on getting the most from visiting antiques fairs, ones to watch and top tips. What pieces might you hope to find at Firle Place Antiques Fair? Valuations are always exciting, so I hope to see interesting items. I’d love to find a piece of Lalique, otherwise the quirkier the better. What pieces are you taking to the fair? We are taking our usual eclectic mix of ceramics, silver, objects, furniture and paintings from all eras. We have a few very nice watercolours of the Sussex Downs to exhibit. Good quality, unusual, one-off items from all periods are selling well – the more unusual the better. We find affordable decorative paintings are proving popular at the moment. I live in a period house but have a range of items at home from the 17th to the late 20th centuries. I’m often asked what I collect, the answer is usually things I can’t sell! Rare and beautiful things will always be collected, especially named pieces, so look for good modern designers, and things that will fit practically into modern homes and living. 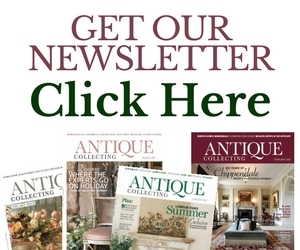 The antiques business has changed rapidly over the last five years. The bread and butter antiques are much harder to sell and have to be presented in the context of buyers’ living habits. Dealing is changing, and we must all embrace the modern internet world as online and social media is growing rapidly. 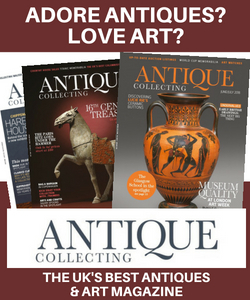 Tell us some trade secrets – what are your top tips for buying antiques at fairs? When buying at a fair or anywhere else, check condition, talk to the dealer – they won’t bite! When discussing a price, remember to be honest and polite. If you see something you like, buy it as you don’t often have second chances with good pieces. Dealers are also knowledgeable and want to build up relationship with buyers. If money were no object I would buy Rene Lalique’s ‘Archers’ in red. I’d also love a Hockney pool painting. 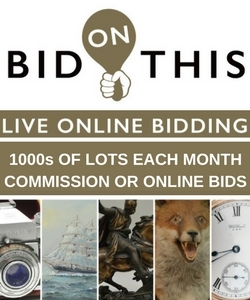 I buy from many places: auctions, fairs, and centres – all have advantages and negatives. I find Long Melford Antiques Fairs in Suffolk and Dunston Hall’s fairs in Norfolk fertile buying grounds, but love traveling and hunting, they always have something to buy. Not looking properly and finding damage or restoration. How does the industry encourage younger buyers? I think the industry has a lot to do to attract younger buyers. Things need to be open and accessible. Dark rooms with cabinets look more like museums. Fairs need to create a more open approach and broaden the date range.